The Promote Award is presented to a VEX Robotics Competition (VRC) or VEX U team that has created and submitted an outstanding promotional video. The goal of this video is to help the team introduce itself in the community, to help recruit new students and mentors, and to gain support for the team. This video may be about the team, the program, the competition, the design and build process, the robot itself, or any theme the team believes can help promote its VEX Robotics program in their community. Entrant grade range: Middle school, high school, university. 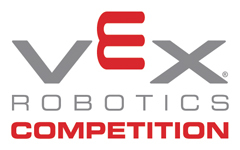 VEX Robotics Competition team requirement: The team submitting the entry must be registered in the current season's VRC or VEX U program. Designs submitted in previous Online Challenges are not eligible for submission this year. Only one entry is allowed per team. However, each team in a multi-team school or club program may enter this competition. For example, teams 123A and 123B could each submit a video, but team 123A could not submit two videos. These are the minimum requirements for this challenge. The “Judging Information" section below will provide additional guidance on how your project will be judged. Failure to fulfill any of these requirements may result in your entry being disqualified from advancing to Finalist or Winner status. If you do not know how to post a video to YouTube, please read this instruction page. Create and post to YouTube an entertaining advertisement or short movie highlighting your team and the VRC experience, up to 90 seconds long. At the end of the video, there should be a credits section including the name of the entrant, the VRC team number, and the name of the video. The credits should be no longer than 15 seconds (Total allowed video length is 105 seconds with credits included). Post the YouTube video link directly to this online challenge site during the submission process. Links to Google Drive or Dropbox are not permitted and will result in disqualification. Your video must be posted to YouTube. Please note: you must use music in the public domain, or YouTube may delete your video. Type in the YouTube link URL, Title and Description. Include all required information, or your link may not display correctly. Judges will select at least ten finalists from the submitted entries and will use community voting results in their choices of finalists. The finalist submissions will then be judged by additional selected professionals who will determine the winners of this Online Challenge. This video should promote the team in the community in order to recruit new students, mentors, and support. This video may be about the team, the program, the competition, the design and build process, the robot itself, or any theme the team can dream up to help promote its VEX Robotics program to their community. Different videos may focus on different aspects of the VRC experience in order to accomplish this goal. This video shows the team process – working and/or having fun together in the lab or at competitions. This video shows the impact the team has on their school and/or community, promoting STEM and their team, and the VEX Robotics Competition. This video shows how the team uses an engineering approach to build their robots. 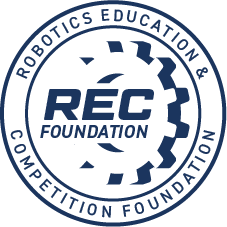 This video celebrates the “competition” part of VRC, focusing on the team’s experience attending tournaments and other VRC events, including the impact that the VRC program has had on the students. This would focus more on how the competition experience benefits the participants rather than on the awards and rankings of the team. Use of music and sound (all music must be in the public domain).